Spring is quickly coming into bloom with a treasure trove of credit card offers making their way into the market, with over 900,000 bonus Qantas Points on the table from this month's top personal card offers alone, and up to 120,000 bonus Qantas Points up for grabs from a single card application. Here are the deals to know about this September across the personal points-earning plastic of American Express, ANZ, Bank of Melbourne, BankSA, Citibank, NAB, St. George and Westpac. 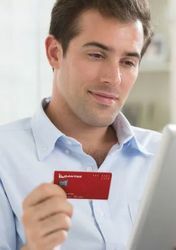 Currently boasting the most generous credit card offer in the country for Qantas Points, the American Express Westpac Altitude Black Bundle is tempting new customers with up to 120,000 bonus Qantas Points across the Westpac Altitude Black Mastercard and the American Express Westpac Altitude Black Card. Separately, the ANZ Frequent Flyer Black Visa is offering 120,000 bonus Qantas Points, $150 back to your card and 75 bonus Qantas Status Credits for eligible new customers. With Westpac, these bonus points are served in two chunks, beginning with 80,000 bonus Qantas Points when you apply for the bundle by November 27 2018 and spend $3,000 on eligible purchases within 90 days of card approval using the Altitude Black Mastercard (issued and serviced by Westpac). You can also take home 40,000 bonus Qantas Points when spending $3,000 on eligible purchases within the same 90-day period using the American Express Westpac Altitude Black Card (issued and serviced by American Express), which also churns out 1.25 Qantas Points per $1 spent on most everyday purchases in Australia, uncapped. Combined, that's up to 120,000 bonus points on offer. The Altitude Black Mastercard carries a $250 annual fee, and there's also a $50/year Qantas Rewards fee levied for earning Qantas Points, although the AMEX Altitude Black Card's separate annual fee is currently waived in the first year ($199 thereafter), when you apply by November 27 2018. Over at ANZ, the offer is straightforward: take home 120,000 bonus Qantas Points and $150 back on your new ANZ Frequent Flyer Black card when you apply by March 31 2019 spend $7,500 on eligible purchases in the first three months. In addition, you can pocket 75 bonus Qantas Status Credits when you apply by the same date and book and travel on two new Qantas flights by June 30 2019. The card also delivers one Qantas Point per $1 spent on everyday purchases (up to and including $7,500 per month, halved thereafter), with a total annual fee of $425: although the true 'cost' of this just $275 in the first year, when you factor in the $150 statement credit after spending $7,500 on eligible purchases in the first three months. Offering 90,000 bonus Qantas Points this month (or 80,000 bonus Qantas Points from September 27 for St. George): the St. George Amplify Signature Visa with Qantas Points, featuring a reduced annual fee of $179 in the first year ($279 thereafter), and the $395/year NAB Qantas Rewards Signature Card. With St. George, you'd need to apply online for the Amplify Signature with Qantas Points card by January 23 2019 and spend $4,000 on purchases within 90 days of card approval, while also earning 0.75 Qantas Points per $1 spent on everyday purchases, plus a 10% 'birthday bonus' awarded in the month of your special day, taking that to 0.825 Qantas Points per $1 spent. NAB's offer instead requires new cardholders to spend $4,000 on everyday purchases within 60 days of account opening, with an earn rate of one Qantas Point per $1 spent up to $5,000 per month, and 0.5/$1 on monthly spends of $5,001-$20,000. A reduced $295 annual fee applies in the first year, reverting to $395 thereafter. Separate to the bundle offer above, Westpac's Altitude Black Mastercard is also available as a standalone product (sans AMEX), and right now, comes with up to 80,000 bonus Qantas Points for eligible new customers. You can earn that bounty when applying for the Mastercard by November 27 2018, paying the card $250 annual fee plus the $50/year Qantas Rewards fee to earn Qantas Points, and spending $3,000 on the Mastercard within 90 days of card approval, while also receiving 0.75 Qantas Points per $1 spent. Another card offering the equivalent of 80,000 bonus Qantas Points for eligible new customers is the American Express Platinum Charge Card, now with a $1,450 annual fee (up from $1,200 previously). Apply and spend $3,000 on purchases within the first three months to receive 80,000 bonus Membership Rewards Ascent Premium points, which can be manually converted into Qantas Points at a 1:1 rate. You can also earn between 0.5 and 3 points per $1 spent on the card, depending on where you transact. Continuing this month's rankings with offers of up to 75,000 bonus Qantas Points, ANZ's Frequent Flyer Platinum Visa, and separately, the American Express Westpac Altitude Platinum Bundle. Apply for ANZ's card and you could earn that bonus – plus $75 back on your statement (reducing the $295 annual fee to $220 in the first year) – after spending $5,000 on eligible purchases in the first three months, and you can also earn 0.75 Qantas Points per $1 spent on eligible purchases, up to $3,000 per monthly statement period (0.5/$1 thereafter). Over at Westpac, its Platinum-grade bundle deal mirrors the Altitude Black Bundle by splitting your bonus points into two distinct servings: firstly, with 60,000 bonus Qantas Points for new customers who apply for the American Express Westpac Altitude Platinum Bundle by November 27 2018, and spend $3,000 on eligible purchases within 90 days of card approval using the Altitude Platinum Visa (issued and serviced by Westpac). In addition, you could also earn 15,000 bonus Qantas Points after spending $3,000 on eligible purchases within 90 days of card approval using the using the American Express Westpac Altitude Platinum Card (issued and serviced by American Express), for a grand total of up to 75,000 bonus Qantas Points, as one card application (lodged by November 27 2018) can cover both the American Express card and the Visa. Also as with Westpac's Black-level cards, there's a $50/year Qantas Rewards fee to be paid when earning Qantas Points, although the usual $150 annual fee on the Altitude Platinum Visa and the separate $49 annual fee on the AMEX Westpac Altitude Platinum Card are currently waived in the first year, cutting the usual all-inclusive yearly cost of $249 down to just $50. Finally this month, an offer of 70,000 bonus Qantas Points on the Citi Prestige Qantas credit card, for eligible new customers who apply by September 30 2018, and spend on the card once within 90 days of card approval. 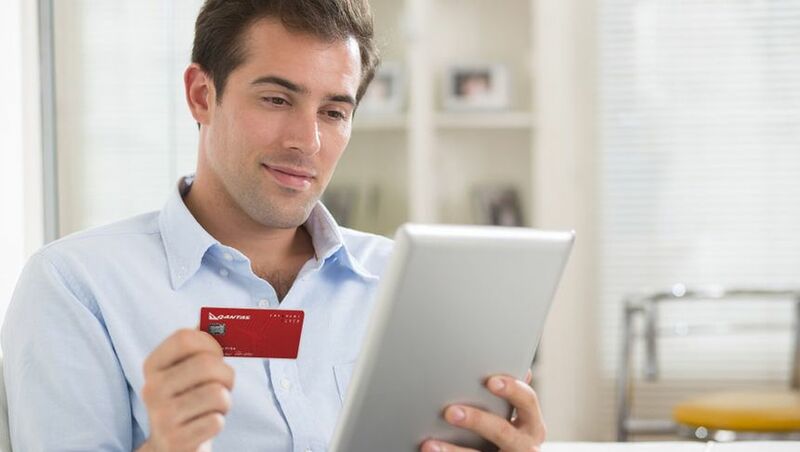 This Visa Infinite card attracts a $700 annual fee – plus a $49/year charge to participate in the Citi Qantas Rewards Program – although this allows you to also earn 1.5 Qantas Points per $1 spent on all eligible international spend, and at major restaurants, hotel chains, airlines (flight only), travel agencies and travel aggregators in Australia. You can also earn one Qantas Point per $1 spent at major petrol outlets, supermarkets and national retailers in Australia, and 0.5 Qantas Points per $1 spent everywhere else on eligible purchases made in Australia, with some exclusions like government and government-related transactions which award no points (such as payments to the ATO). Close behind Citibank with an offer of 65,000 bonus Qantas Points + $150 back on your statement after your first eligible purchase in the first three months, ANZ's Frequent Flyer Platinum Visa could also be worth a look, providing 0.75 Qantas Points per $1 spent up to $3,000 per monthly statement period, and 0.5 Qantas Points per $1 spent beyond that until the next statement period begins. The fees they charge cover your points earned. No real personal positive gain with their outrageous fees. With the fractional banking system, they never lose. Very much to gain stewart7000. By signing up to a couple of 100k+ options last year I was able to get a return business class flight SYD - DUB on Etihad (via Virgin) valued at $7k for less than $1200 including card fees and airline taxes. However I notice the amount of bonus points now on offer has reduced quite significantly. Comment on "September's best Qantas Frequent Flyer credit card sign-up deals"